They don't get all that much press at other times of the year, but as they get ready to embark on their annual present-hauling mission, reindeer are very much in the spotlight. So what do you really know about Santa's favourite pack animals? Here are ten weird and wonderful facts about Rudolph and his kin. Merry Christmas! The IUCN lists them as a species of least concern, but recent research suggests that climate change and the resulting loss of suitable habitat could spell trouble for the species. 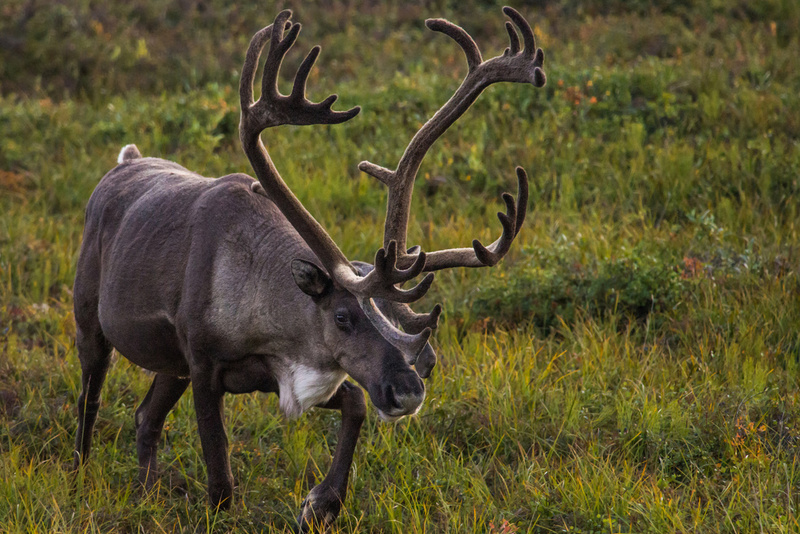 Some reindeer populations are likely to become more and more isolated, which is bad news for genetic diversity and therefore bad news for their ability to adapt and survive in a changing world. According to the research, certain reindeer subspecies will lose up to 90 percent of their habitat in the next 60 years. The ‘shrinking’ hooves are all about adapting to the seasons. When winter turns the ground icy and hard, reindeer footpads respond by shrinking and tightening for better grip. In summer, the footpads become soft and sponge-like for extra traction in soft, wet earth. Migration’s not for every reindeer, but those that do favour the nomadic life are pretty darn skilled at it. According to the IUCN, some North American populations may travel 5,000 km (3,000 miles) in a year, the longest documented movements of any terrestrial mammal. If a body of water requires crossing on that extensive migratory route, reindeer are more than ready for the challenge. When swimming, adults can maintain a speed of 6.5 kpmh (4 mph) ... or even 10 kmph (6 mph) if there's a hurry. When they’re not feasting on Christmas fare up at the North Pole, reindeer need to keep themselves well fed in order to survive in the extreme and barren environments they often call home (like the Arctic tundra). Most of the time, grasses, leaves and lichens (reindeer moss Cladonia rangiferina is a favourite) do the trick. But sometimes, reindeer opt for a little supplementation. There’s evidence that lemmings (those adorable little rodents plagued by that infamous mass-suicide myth) form part of reindeer diets in summer. And then there are reindeer snacks of the psychedelic kind … at least according to one theory. Some mycologists (mushroom specialists) claim the classic story of Santa and his flying reindeer has its roots in ancient shamanic ceremonies: reindeer would munch on hallucinogenic mushrooms and Sami shamans would then drink the filtered reindeer urine ... the resulting 'high' made them believe the animals were 'flying'. Aah, those reindeer and their crazy chameleon eyes! Earlier in 2013, a research team that included a neuroscientist from University College London specialising animal vision revealed why reindeer eyes are golden in summer and deep blue in winter. So what's that colour-changing secret? In summer, the golden glow of reindeer eyes is due to the light-reflecting tapetum lucidum or cat’s eye (a mirrored layer situated behind the retina). But in the fading light of winter, the tapetum undergoes a complex transformation (details here) that changes the type of light it can reflect – and also gives it a blue appearance. 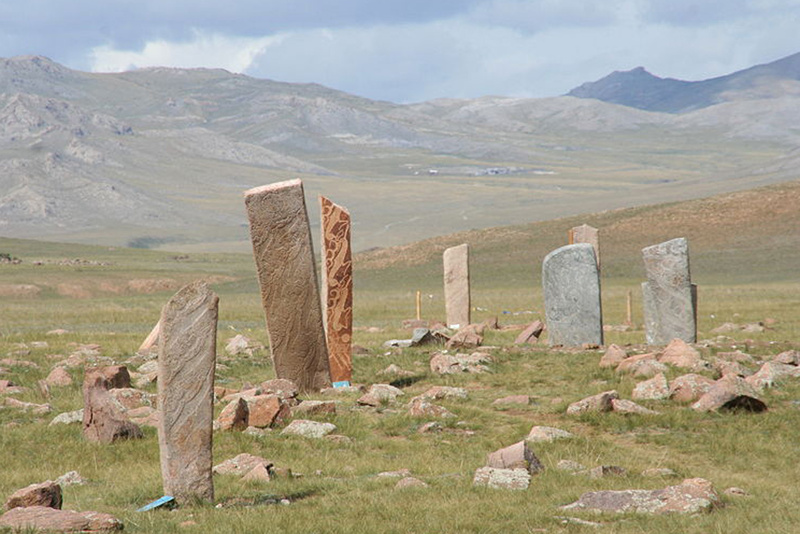 On these stones, the reindeer is depicted with its neck outstretched and its legs flung out fore and aft, as if not merely galloping but leaping through the air. The antlers have grown fantastically till they reach right back to the tail, and sometimes hold the disc of the sun or a human figure with the sun as its head. The flung-out hooves seem to represent more than just a leap: it is as if the artist has caught the reindeer in the act of flying through the sky in an association with a deity of the sun. Unlike other members of the deer family, both male and female reindeer grow antlers in most populations. But when it comes to figuring out whether Santa’s sleigh is pulled by Rudolph or Rhonda, the key thing is when those antlers are shed. The argument for an all-female pulling team is based on the fact that older male reindeer usually shed their antlers in early December – which would leave them antlerless at Christmas (and Santa’s reindeer are always depicted with head gear on show). In contrast, female reindeer shed their antlers well into the spring, which makes them far better contenders for Santa’s sleigh. But there are other options to consider. The shedding cycle is affected in males that are neutered and younger male reindeer can delay their antler-shedding until April ... so there's hope for Rudolph after all. A lightning storm in central Norway has killed more than 300 reindeer, including 70 calves.